Halloween at our house starts rolling on September 26th. Snood's birthday is the 25th, and as soon as all the birthday-related merriment has concluded we move directly into full-time SPOOKY mode. I pull out the cobweb table runner and the oversized decorative pumpkin, I hit Trader Joe's for a bunch of mini gourd-type items, and I hang our paper skeleton "Seymour Bones" jauntily from the front door. Then it is time to start talking costumes. When I was little, my mom was the queen of Halloween costumes. 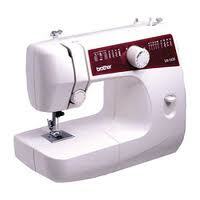 She would start taking orders in late August; then for the next two months the sewing machine would be rockin'. The resulting costumes were nothing short of extraordinary. She made a clown outfit for my brother with giant foam shoes and a red mop wig. She crafted a Statue of Liberty costume for me in the third grade using half a dozen hand-dyed sheets. She transformed my sister into Wonder Woman complete with golden lasso and bulletproof cuffs. The woman was an artist. For my part, I have long since decided that I will not be following in my mother's footsteps. And not only am I not making lovingly hand-sewn costumes, I am taking things a step further and actively steering my children towards choosing costumes that are as easy as humanly possible to get my hands on. Snood's first idea for Halloween was Max from "Where the Wild Things Are". While I applauded the literary aspect of the choice, I quickly realized that "Pottery Barn Kids" had seemingly secured the exclusive rights to sell Wild Thing costumes. Rather than drop close to a week's salary on three costumes I instead began actively trying to steer Snood towards an alternate choice. "How about a race car driver?" "How about a Police Officer?" 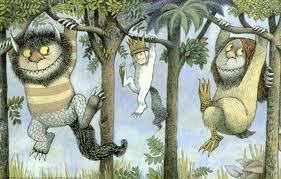 "I like 'Where the Wild Things Are'!" I continued to make desperate counteroffers, all of which were rejected with extreme prejudice. But then one day in mid-October, completely out of the blue, Snoodie had a change of heart. "Mommy, for Halloween I want to be Strawberry Shortcake!" He had it all figured out. His brother could be "Cupcake the Dog" and the baby could be Strawberry Shortcake's infant sister "Apple Dumpling". I was significantly less worried about the weird looks I'd get at the Halloween parade than I was about trying to figure out how the hell to make that crazy hat. Still, I thought with a red wig, some jeans, and a striped T-shirt I could probably pull it off. Then a dog costume could be ordered, and the baby -- well, she was already a baby, so done. I was semi on-board. "Maybe I'll be a firefighter for Halloween." AND WE HAD A WINNER! I was ALL OVER it. I hit up Amazon.com, and soon two Fire Chief costumes were speeding towards my house. My sister came up with the genius idea of making the baby their trusty dalmatian, and I knew with joy in my heart that Halloween was DONE DONE DONE! Days later three large plastic packs of costume-y goodness arrived and we were insta-ready for the big day. We happily counted down to Halloween. I even channeled my mother a bit and made hand-crafted ID tags complete with photos for the boys' firemen outfits. I felt great. 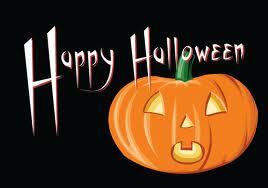 We were all-set for a night of super-fun Trick-or-Treating merriment! Which made me extra-glad I hadn't spent several weeks bent over a sewing machine. The above photo is the best one we got.